The European style of training and molding soccer players from the first time they step on the field all the way to a possible professional career could be closer than ever for Valley athletes. 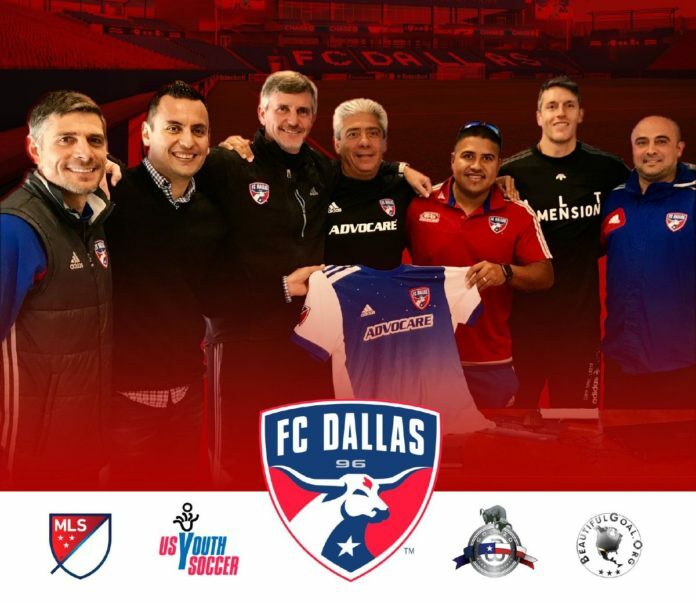 Pharr-based club program Golazo Soccer and Major League Soccer’s FC Dallas are set to announce a merger that will give players the opportunity to chase the dream of high-level play through FC Dallas RGV. FC Dallas operates similar organizations in El Paso, Laredo and Monterrey, Mexico, but the RGV sect will be the largest due to the influx of players who were formerly Golazo/Dallas Texans youth players. Golazo is not a new program, but the merger gives the organization more resources than ever before, plus a direct pipeline to high-level play. In February, FC Dallas signed a first-of-its-kind partnership with German Bundesliga powerhouse Bayern Munich. The deal includes a player exchange program that will allow players from North America and Europe to train in different environments and under different coaching staffs, expanding and improving the talent pools of both clubs. Sobczak founded Golazo in 2008 and helped with the planning of the Pharr facility, which includes an indoor and outdoor field. He said his soccer upbringing in the Dallas area gave him a firsthand view of the training needed to reach the highest levels of soccer. Esmundo Rodriguez, one of Sobczak’s first teammates and oldest friends, played for the U-20 U.S. National Team before moving to the MLS for the Dallas Burn and FC Dallas. Rodriguez co-founded Golazo with Sobczak and will serve as Vice President of FC Dallas RGV. Israel Lugo is a former C.F. Monterrey Rayados goalkeeper who will serve as executive athletic director of FC Dallas RGV. Sobczak said he recognizes the amount of raw talent in the Valley, but he also knows a well-oiled team is built from players who possess in-depth knowledge of the game and other factors necessary to succeed on the highest stage. Through the Dallas Texans RGV team, Golazo has already helped players advance to bigger cities to continue their soccer careers. Following the merger with FC Dallas, those same players will be brought closer to the flagship in Frisco. Sobczak said balancing being recreational and competitive can be difficult. Also challenging is keeping the program affordable while still charging a fee so players and parents are committed to the process. The fees to be a part of FC Dallas RGV will average about $60 per month.